Did you know that 85% of all jobs are filled via networking? Your network is your powerful friend, and the above statistic shows how influential the word of mouth is. Even if you are well established and have no plans of moving or advancing your career soon, building relationships has proved time and time again to be an essential tool! 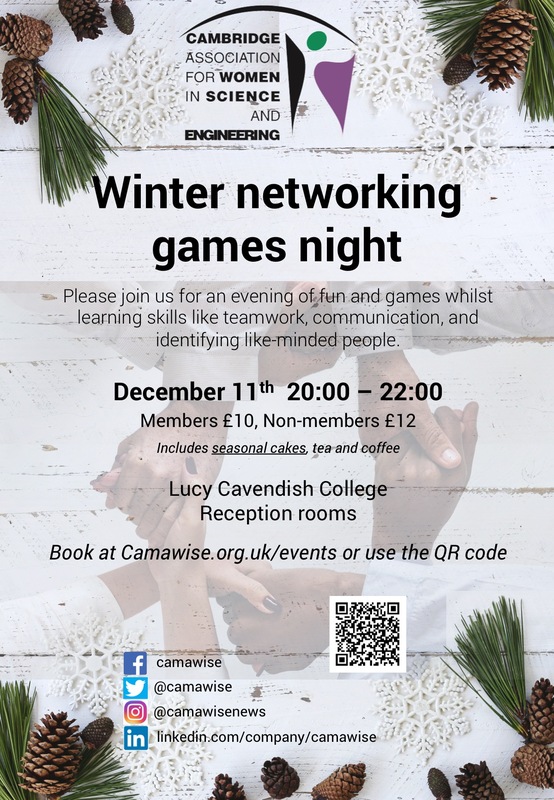 Please join us for a relaxed evening of fun and games whilst learning skills like teamwork, communication, and identifying like-minded people. Enjoy the famous annual seasonal cakes with tea and coffee. Book now! and join us for the last event of the year. Cost: £10 for members, £12 for non-members.